It was hard for us to hold back our enthusiasm when this project was launched. 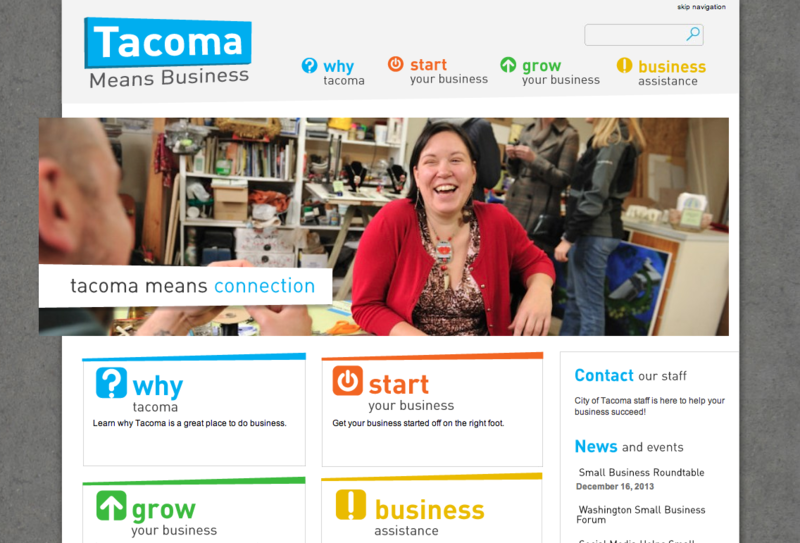 We have a passion for start-ups and a love for Tacoma. This website gave us a chance to help both. 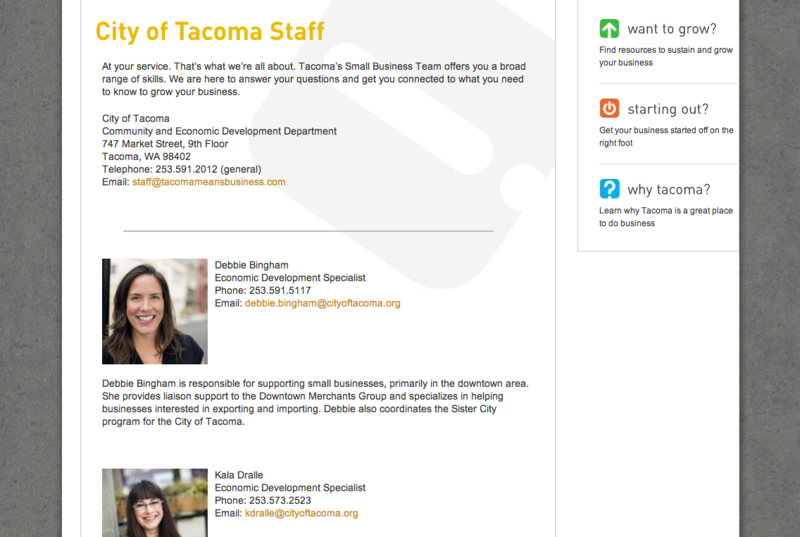 It is focused on getting businesses information on how to start a business, locate a business or grow a business in Tacoma. 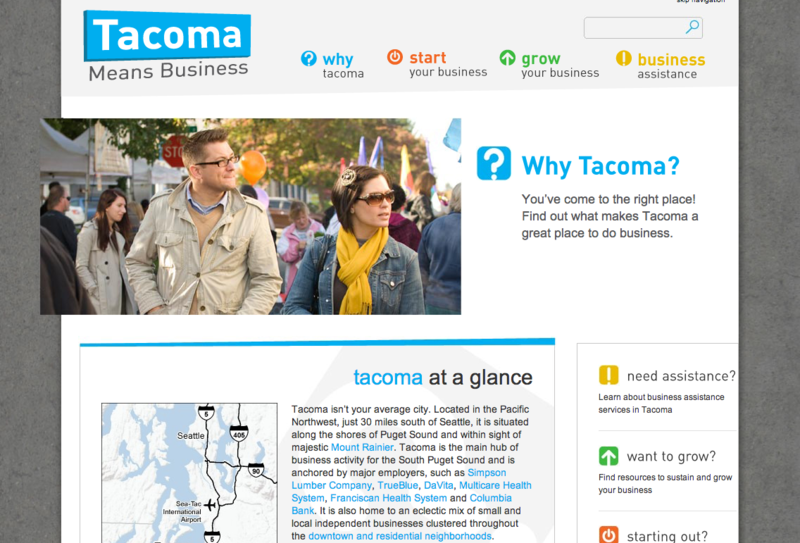 We partnered with Rusty George Creative to build the site for the City of Tacoma. 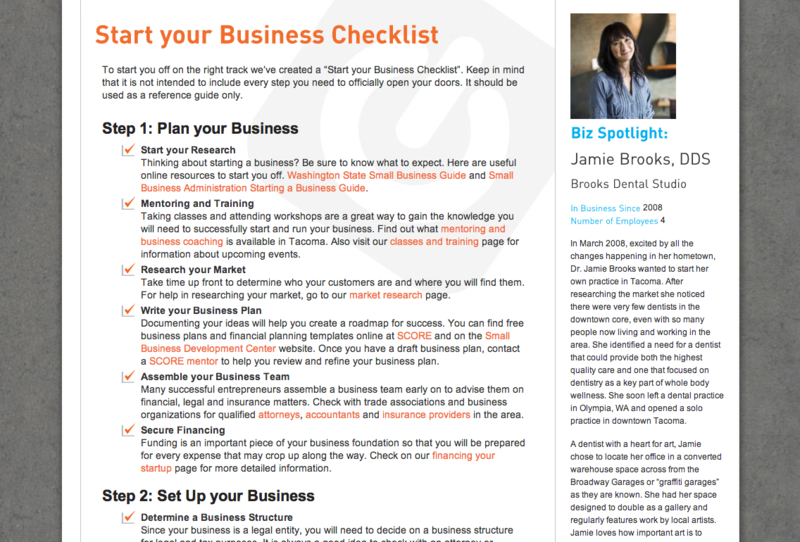 The structure of the site is very intuitively laid out based on what type of information you need. The site also features beautiful photography from Tacoma’s own Jason Ganwich. We were honored to have been mentioned in the Tacoma News Tribune for our work on the project.